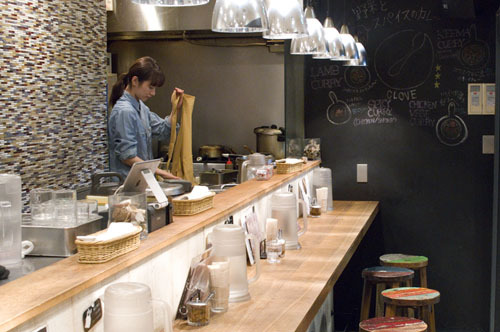 Vegetable-centered Japanese-style curry rice is the specialty at this highly rated counter shop. The four varieties on offer are onion (with chicken or shrimp), lamb with onion, chickpea keema, and the house-special multi-vegetable curry. You can also opt for extra vegetable toppings like zucchini, eggplant, asparagus and maitake mushrooms. 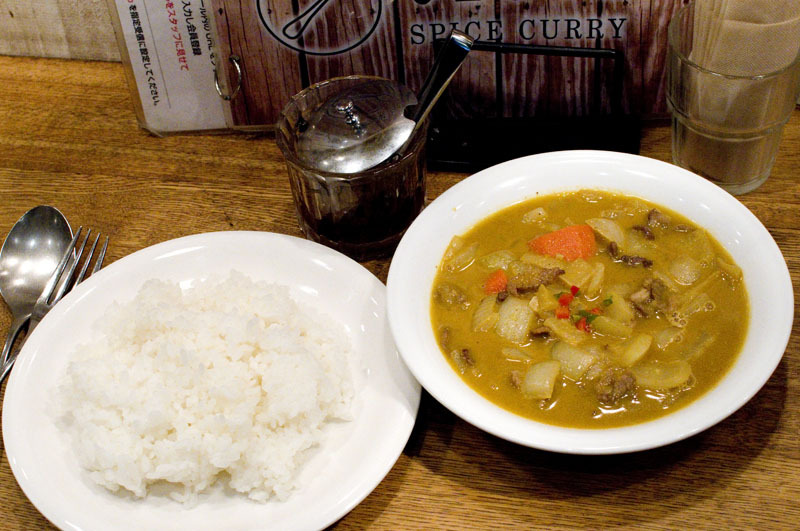 The lamb and onion is our favorite here - it comes in a thinner, more stew-like roux that's almost creamy in texture, with plenty of onions and distinctively flavored lamb - a dish that's unique in the Tokyo curry world. Chickpea keema is also very satisfying, spicier than average and pleasingly meaty in texture and taste. The onion curry is somewhat sweeter, with a kind of onion slurry incorporated in the roux and big chunks of roast chicken (if you order the chicken version). Although it's tasty on its own, this version could most benefit from Clove's add-on vegetable option to give it some variety. 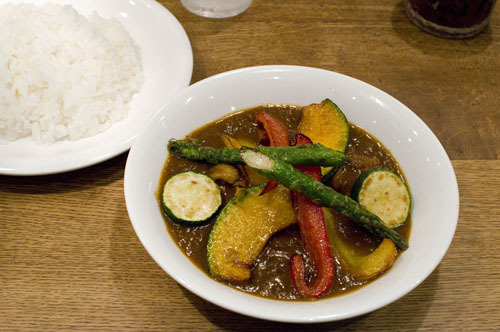 The multi-vegetable curry comes with a colorful assortment of seasonal vegetables, sauteed briefly but still generally firm in texture. The roux is sweeter than average, and livened up with bits of chicken. 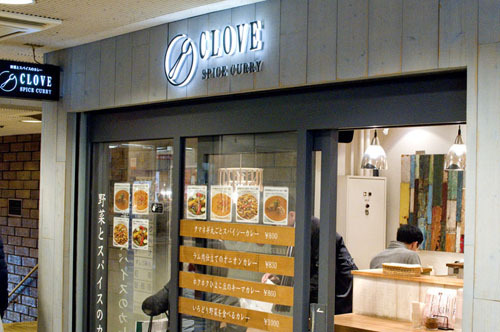 Each of the curries has a nice balance of spices, including clove (as you might guess from the shop's name). 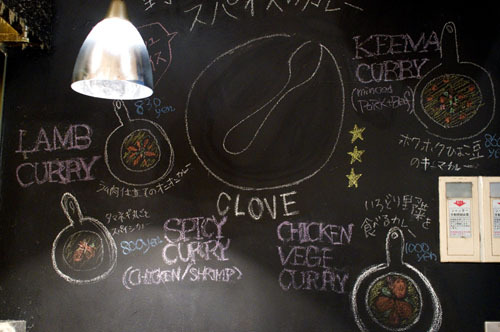 Basic curries are Y800-000, with most extra toppings priced at Y100 each, and everything is available for take-out. 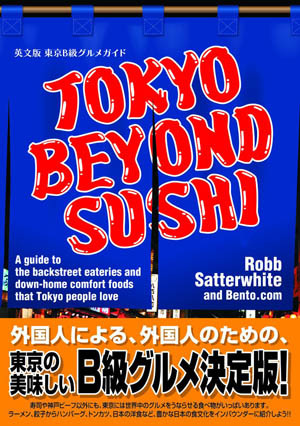 Shinjuku-ku, Shinjuku 3-17-7, Kinokuniya Bldg B1F.